The LOST Ones - View topic - Happy Mothers Day to EVERYONE Here and in Heaven!! Happy Mothers Day to EVERYONE Here and in Heaven!! Especially Lisa who will be celebrating in Heaven with her girls!! Thinking of Ian, Kita and Cort today. Hope everyone has a wonderful day!! Im sure all of our Angels will be looking down on us and sending Mountians of Angel Kisses and Hugs our way. Re: Happy Mothers Day to EVERYONE Here and in Heaven!! Happy mothers day to all of us Mummies. Hope that everyone has a great day. I know that I am truly blessed this year to have Jess with us to celebrate. Finally got the car that I have been wanting for the past year!!! 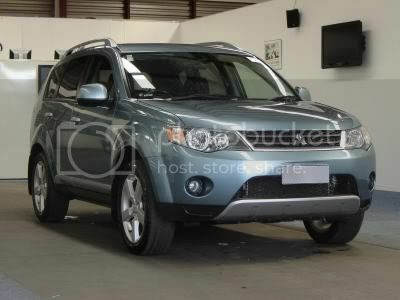 Its a '07 Mitsubishi Outlander, 7 seater, automatic with triptonic (that means that it can be driven like a manual as well as it has two levers that you can use to change the gears up and down) and it only has 50,000ks on the clock!!! Happy Mothers Of Angels Day Everyone. Lisa - Happy Mothers Day hun, I know that you will be with your girls and all of our angels having a great time!! Ian - hugs to you Kita and Cort. Carley I think you can class that as a mothers day present......... I am so jealous!! I got a beautiful picture of Shawna's foot prints that she made at daycare and I also got the most beautifutl locket from Georgia! (I was very surprised about that, DH has really shown a soft side). 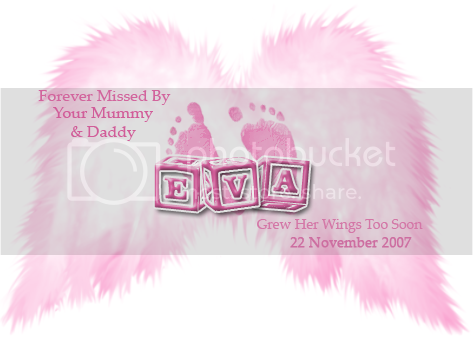 TO all the beautiful Mummies of angels hope you all had a kind day with lots of angel kisses and hugs. oooh found this on another forum and thought I'd copy and paste it here...so appropiate. I see your longing eyes and aching arms - and wish I knew the magic way to make it all ok.
My family have tried but I've carried the heaviest heart all day. after some space and reflecting I realised that the weight is from being a mummy that has a child who cannot be here. being a mother with out a child makes today seem more lonely. Was your first mothers day after your loss like this? Sorry for the downer, I hope you all had a better day. jamiesmum, I know exactly how you feel. Mother's day was so hard for me last year. Even this year it was tinged with sadness. Big hugs to you. Carley, LOVE the car!!!! Lucky girl! Tracey, how precious of your DH! Jamiesmum. i too had such a heavy heart yesterday and had a few big cries. I had been coping better the last month and i guess i hadnt anticipated how i might feel. I dreamt I was still pregnant with Ezra just before i woke up so it all just hit me again. Jamiesmum and Debs, Last year was not a pleasent mothers day for me. No one mentioned it and it went unacknowledged by all. I felt rotten all day, I remember having a mixture of sadness and anger. This year was better, but still bittersweet as I felt the loss of Georgia all over again. I have days where this happens on and off and there is nothing special about the date, it just happens. Carley, thank you for sharing that poem, it bought tears to my eyes but also a warmth to my heart. I'm so late in posting here, but my thoughts were with all of you lovely mums to Angels and our Angel Mum Lisa and her family Ian, Kita and Cort. It can be a bit of a rough day - I woke up and had a few tears for Satori before putting my happy face on for DS.